We have significatnly dropped our prices! As stated below, kontaktbanks.com and reasonbanks.com are separated today. In addition to this development we are happy to annonce that we have significantly reduced our prices. This is to announce that from 1 March 2013 kontaktbanks and reasonbanks will be divided into independent selling platforms, and our designated soundbank types will be developed and released separately. Following this reorganisation the product licences will only contain one format: you can buy the refill version in the reasonbanks' webshop, while the kontakt versions will be available only in kontaktbanks' webshop. These changes are not retrospective: licences that were purchased before 1 March 2013 will continue to contain both Kontakt and Reason refill versions, and both versions of products so purchased will remain available as well. This is it. After such a long development, VOYAGER refill has been finished and is available now! VOYAGER is an analogue synth refill, based on the sounds of the famous Minimoog Voyager synthesizer. Yes. It's a long time… when we started, there were no soft-samplers in existence. We worked on hardware sampler cards which carried a very limited capacity. Gravis Ultrasound, Turtle Beach Maui, Tropez, Pinnacle, Terratec EWS64… does anyone remember them at all? These samplers educated us, and we have learned a lot of things - for example how to optimize our libraries and how to fit a sampled instrument into 4, 8 or 32 MB of RAM. They also taught us that quality always prevails over quantity. Since then the world of sampling has dramatically changed. The hardware samplers slowly but surely disappeared. Now we use software samplers - they provide us with practically unlimited capacity, and carry so many features that we have never been able to imagine before. We have terabytes of libraries - no limits. But we never forget where we are coming from and we remain committed to our fundamental value: quality must win over quantity. Analogue Monsters 3 FREE edition is out! AM3 FREE edition is a "must have" collection for every Reason users. It provides a great basic set of vintage and modern analogue synthesizer sounds, covering arps, bass, leads, pads, mono- and poly keys, based on nine famous analogue synthesizers. And the best: it's completely free! As its name suggests, this site is dedicated to Kontakt, the industry standard sampler from Native Instruments. At the same time we are proud to present Revolver for Kontakt, our very first library available in native Kontakt format. The Kontakt version of Revolver is not just a conversion! It has been entirely rebuilt starting from the scratch, and thanks to the Kontakt's advanced scripting technology we were able to create a software instrument that sounds and behaves as a real hardware! We have also made some improvements on reasonbanks, most of which are imperceptible, but believe us: we have devoted a lot of work to it. You can notice that the design has been changed a bit as well. We hope you like it. New Analogue Monster: REVOLVER is out! 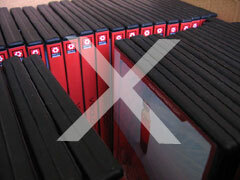 The commerce of CD and DVD versions of our products (that need physical shipping) will be discontinued from 3 May 2010. Thanks to the general use of broadband internet the disk versions have become obsolete in the past few years. So we will only distribute our refills in downloadable format , and we believe this is the most comfortable option for all of us. In addition to the BIG BUNDLE, we created two more bundled packages, as we think these refills belong together and somehow they complement well each other. The ultimate package for Waldorf fans. Three Waldorf synths in one pack, based on 3.7 GB sample source. You get also the Keyboard Loop player as a bonus. Two "classic" NN-XT synth refill from Eric Corminier, aka "reason.fan". Bundled versions are available in our e-shop. Mountain Synth is a free refill from Eric Corminier aka reason.fan, inspired by the big mountains of the French Alps. User reviews have been updated as well. By the way, you can write your own review by clicking here. 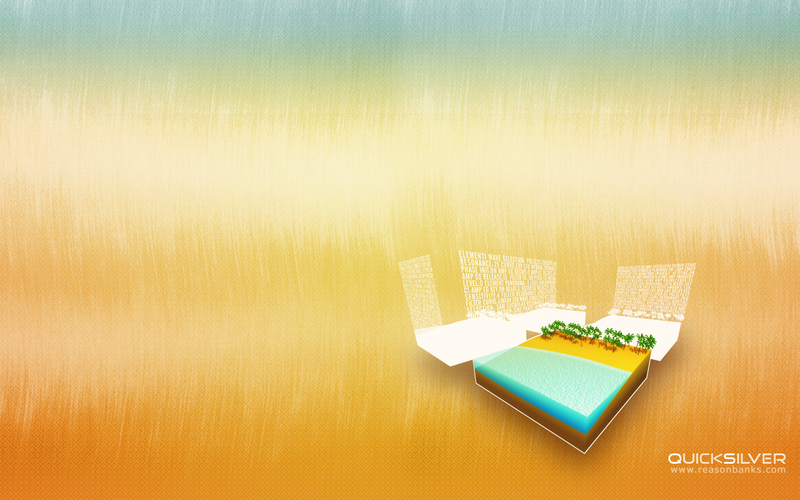 We released the improved AM3 patchbank today. It contains a vast number of of exciting new Combinator and NN-XT patches. AM 3.12 is a free update. If you are a lucky Analogue Monsters owner, please login to download it. You will find the new patchbank in the "Product downloads: Refills" section. New LEMON demo refill is out & available for free download. We tried to give you a little taste of the full version of LEMON. Contents: 9 Combinator patches, 9 NN-XT patches and 1 ReDrum kit, based on 77 MB samples (124 wav & 6 rex files). 13 September, Rotterdam: Marco Raaphorst will do a one hour workshop in which he will show step-by-step how to create a Keyboard Loop Player using DrREX and Thor devices in the Combinator. If Keyboard Loop Player sounds familiair, that's right, this technique was used in Reasonbanks Refill Lemon as well. Marco will show how cool LEMON sounds, and how flexible this configuration works for live playing. New refill: LEMON is out! LEMON is our new REASON4 refill, featuring "Keyboard Loop Player", which is a new Combi instrument that enables you to play bass & melodic loops on your midi keyboard. During the summer holiday, from 7 July to 6 September we will make the delivery of the postal packages only once in a week. It means that the fulfilment of orders that are processed during this period of time and require physical delivery (CD/DVD products) will be postponed, and will be shipped on Mondays. This break will not affect the accessibility of our downloadable products, hence these orders will be processed within 24 hours as usual. 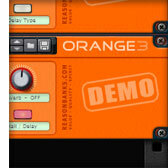 New ORANGE3 demo has been released. We desperately try to demonstrate the power and flexibility of ORANGE3 in this 50 MB large refill. FREEZER is a 645 MB large refill collection CD ROM, contains all free & demo refills that we created between 2001 and 2009. That means 37 free refills (469 MB), and 10 demo refills (175 MB). So, Dear reasonbanks customers! if you want to get it, please login to download. You will find FREEZER in the "updates & extras" section. At long last... finally it's been released and available for download. ORANGE3 is free for registered ORANGE2 users. If you are a lucky ORANGE2 owner, please login to download. You will find the update in the "updates & extras" section. BIG BUNDLE 3 (2009) is a special downloadable release, all current refills of PinkNoise Studio are included in this 'economical' package. The new updated version of ORANGE is out! - the source of the refill is also included, you can use it as a multisample library for other samplers like Kontakt, Virtual Sampler, EXS24, etc. ORANGE 2.5 is a free update for registered ORANGE2 users. What is new in MKII version? The new MKII edition is a free update for registered proVITAMIN users. the GALACTIC PADS is a multisample collection for Music Tech Magazine readers. 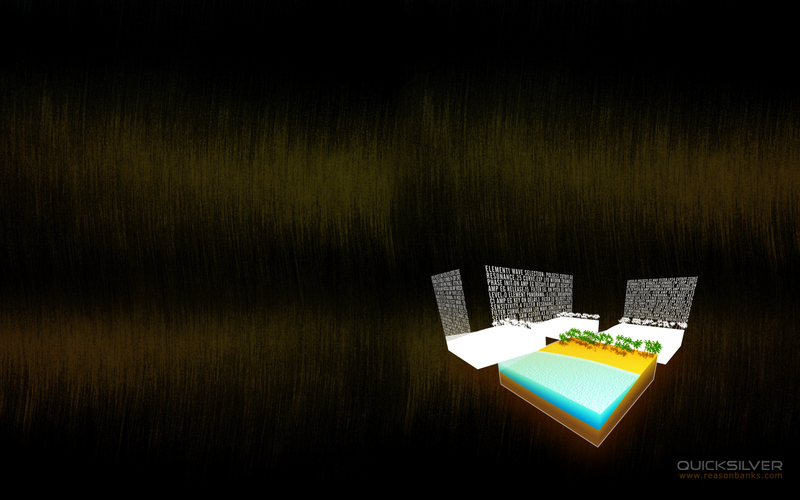 Evolving textures, motion atmospheres, organic pads, etc. What is little-known: it was created using AM3 exclusively! 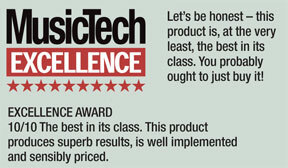 AM3 review: by Keith Gemmell from Music Tech Magazine. It seems Keith enjoyed our little Monsters, because we got 8/10 points. Click here to read the whole review! • Since we received many requests from our customers, the Analogue Monsters promotion has been extended - until 30 November. So, if you buy Analogue Monsters 3 now, you can choose a second refill - for free. It could be any refill that you can see in our product list, Virology, ORANGE2, Cybervox, PROTON3 etc. - it's up to you. • On 1 November we will remove share-it payment option from our e-shop. The Analogue Monsters 3 demo refill was released yesterday. It's worth checking out, since it contains 28 NNXT patches and 12 Combinator patches, based on 50 MB multisamples, and you can download it for free. If you are already a happy AM3 owner: from now on you can download both the 24 and 16 bit version. The 16 bit version sounds almost as good as the 24 bit edition, but needs less RAM, patches will be loaded faster, so it might be handy if you want to save some power for your computer. The final conclusion is "Sehr Gut"
Just in short: ANALOGUE MONSTERS 3 is out! 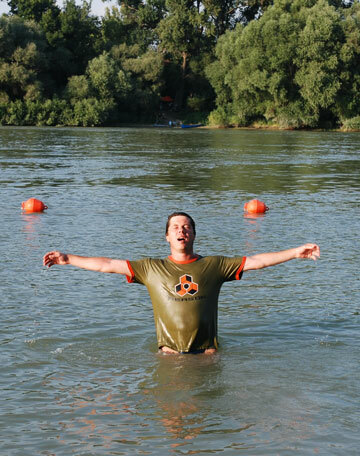 We will be away on summer holiday between 1 and 24 July, so our office will be closed. It means that the fulfilment of orders that are processed during this period of time and require physical shipment (CD/DVD products) will be postponed to 25 July (Friday). Needless to say that this break won't affect the accessibility of our downloadable products, hence these orders will be processed within 24 hours as usual. MusicTech Magazine published a PROTON3 review in the current July issue (64). We got 8/10 stars! :-) You can read the full review by clicking here.  Analogue Monsters source edition will be discountinued, only the refill version will be available and supported in the future. The source edition will be removed from our shop on 30 June at the latest, or when it's going to be out of stock. We added some extra download limits for users who previously purchased the 16 bit version, so they can download the 24 bit versions from now on.  New version is on the way! Analogue Monsters 3 will be available from 30 June. A completely rewritten and enlarged patchbank, including new NN-XT and Combinator banks, 5 Gigabytes sample content (one GB fresh new multisamples). 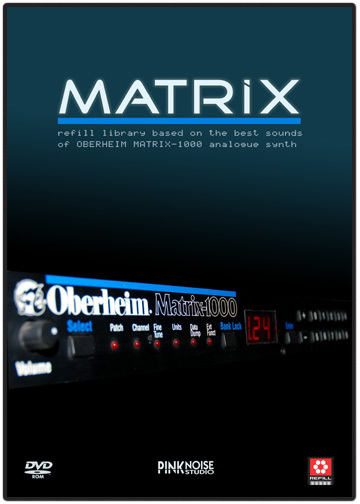 In addition to the extant nine monsters we introduce a new one: the Oberheim Matrix from the 80's. This is a very warm sounding beast, besides the very last real analogue synthesizer of Oberheim. It is time to make a little room in your rack - PRO.TON3 has arrived! OK, I have 2 interesting news for today. The first one is not up to date, because I forgot to mention when it was published but: the March issue of MusicTech Magazine contains a nice free 1GB soundset from me, based on THOR. Another thing. 17 March 2008: today is a bit different than other days... just checked the calendar and realized that reasonbanks.com is 5 years old today! Gosh... it's weird. It seems to me that only 2 or 3 years passed, but... anyway, in the last 5 years we have released great many refills, both comercial and free ones. Cybervox DVD version is in stock from today. After more than one year of development, PinkNoise Studio proudly presents CYBERVOX! It offers formant shaping, advanced vocoding and realtime sound manipulating techniques for live performance. Cybervox is a unique refill, completely different from any of our previous products. ...and again: another multisample pack - exclusively to Music Tech Magazine readers, in the issue 57, and again: yes Jason, you are right, we didn't get any credit in the magazine. Whatever. This pack is based on the Oberheim Matrix synth, 1 GB, contains both NNXT and Kontakt banks, and free - in case you are a Music Tech reader. And again: we released another multisample pack - exclusively to Music Tech Magazine readers, in the issue 56. We released another 1GB multisample pack - exclusively to Music Tech Magazine readers. Likewise one month ago, we created 12 snapshots using our VIROLOGY refill, these multisampled sets can be found in the issue 55. If you already own VIROLOGY, you won't need it, but otherwise you should check out the great sounds of VIROLOGY! We created 12 snapshots using our splendid ORANGE2 refill as sound source - the result can be found in the issue 54 of Music Tech Magazine. Full, enhanced version of the PRO.TON ReFill - free to registered Reason users! In a joint collaboration with Propellerhead Software, PinkNoise Studio now offers the much acclaimed PRO.TON ReFill, in a new and exciting version. Previously a commercial ReFill, PRO.TON is now free to all registered Reason users. 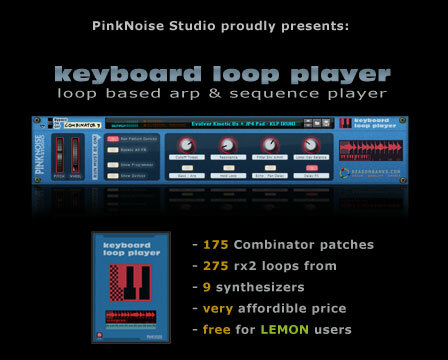 To let PRO.TON users take advantage of Reason's Combinator device, PinkNoise Studio's Andras Haasz and Propellerhead product specialist James Bernard have joined forces to conjure an add-on ReFill to PRO.TON, crammed with rich-sounding useful Combinator patches, including a folder of song starters. ps. : the updated Combinator refill works both with the original PRO.TON, and with the PRO.TON version 2 as well! ... in the current issue (52) of Music Tech Magazine. DEEPFLIGHT multisample pack gives you a little taste of the sounds of our dearest DEEPFLIGHT refill. Another thing. This weekend our ISP made a big, unforgivable and unacceptable mistake, that's why reasonbanks.com was not accessible for 30 hours! We will take the necessary steps, so hopefully it will never happen again. New Analogue Monsters review: Amazona.de is the biggest magazine for music and computers worldwide in German language. Björn Morgenstern has written a very detailed and deep review about our much-loved Analogue Monsters. more info on the review page. The users' review page is also updated, 2 new reviews, thanks to RSchlep and clayforus. 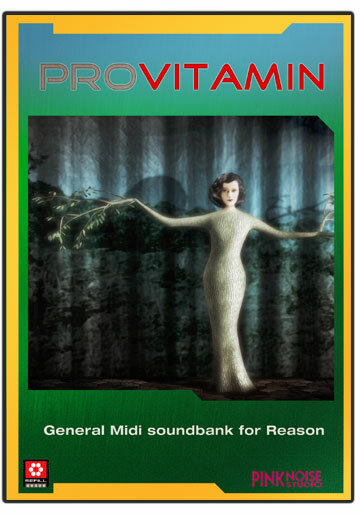 Our lion-hearted user, RSchlep found a small bug in the proVitamin refill, there was a wrongly mapped 'string noise' layer in the 033-Acbass patch, now it's fixed, the downloadable full version is also updated. And finally, a bad news. We had to make a temporary restriction, thanks to the HUGE interest in Waldorf Salad: currently some big free refills are not available on the free download page, including Analogue Monsters free series. Waldorf Salad - cold, warm, sweet and sour at the same time! Enjoy our new free refill, based on Waldorf Q and Microwave synths. The high resolution image pack is available for registered users, to download please login first and you will find them in the "Downloads" -> "Updates & extras" section. From time to time Music Tech Magazine readers can meet our work. I just thought I mention that the current issue (No.50) contains multisamples of over 1GB from the reasonbanks' bunker. Good news: instead of 30 March, the shipping of DEEPFLIGHT CDs started today! PROTON Combinator add-on refill adds 24 new Combinator patches to the original PROTON refill, it works both with PROTON v.1 and v.2! This refill is free to registered users.  for registered PROTON owners: you can download the full version of the successor PROTON v2 for free!  From now on the CD version of PROTON v2 is available as well.  All reasonbanks products (both CD/DVD and downloadable products) are available via Paypal as well.  After purchasing, you can download your registered products directly from reasonbanks, even if you purchased the CD/DVD version - no more wait for shipping! 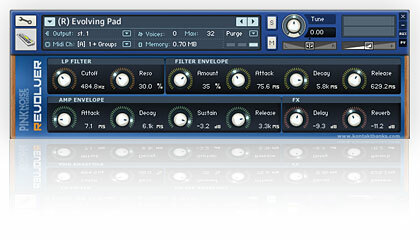 DeepFlight is a Reason3 refill, based on the sounds of Roland D-50 synth from the late 80's. This synth was Roland's response to the extremely popular Yamaha DX-7, however it sounded totally differently and was much easier to use. 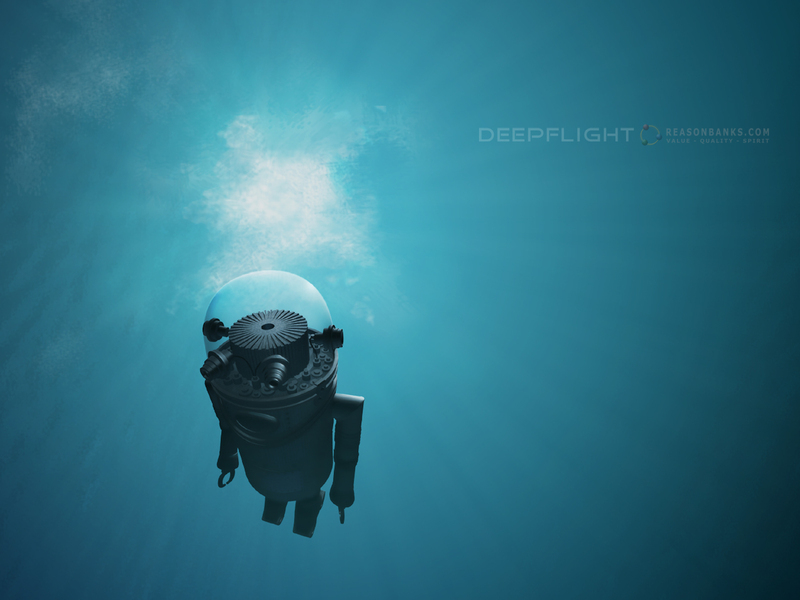 DeepFlight will be available in March - stay tuned. footnote: Well, I'm so tired of reading marketing bullshits... so, Deepflight is our upcoming Reason3 refill, but it's not groundbreaking, not a revolutionary leap, not breath-taking and not world-shaking. It's just another quality refill from us for your synth arsenal that may help you to create music of professional soundings. PinkNoise is 10 years old now! On the occasion of this 10th anniversary we have planned to release a special refill... and after many sleepless nights finally it's out: proVitamin GM refill has been released! Check it! We would like to say a big "THANK YOU" to all reasonbanks customers, since without their supports we would have never been able to maintain our work. As a little return, we give them a 50% discount coupon now, and for those magnificent people who already purchased the previous SF2 version of proVitamin, proVitamin refill is a free gift! That's all for now. 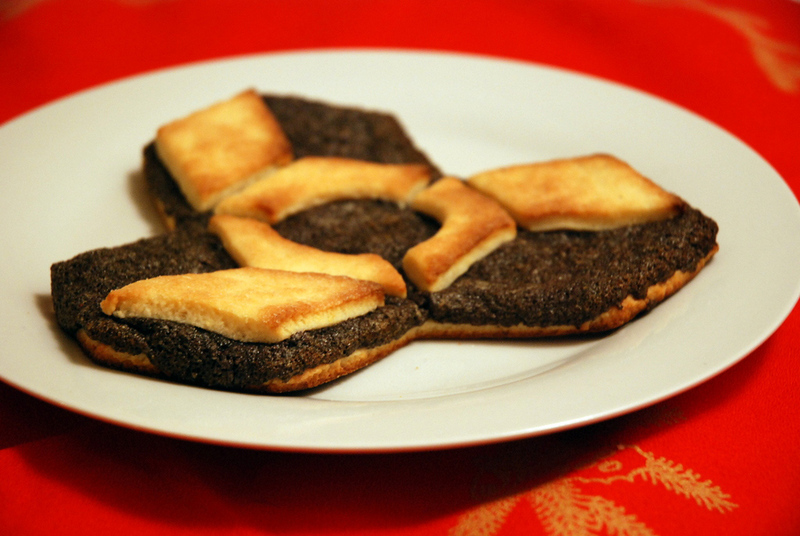 We wish you a peaceful Xmas and happy new year! We improved our site resource and storage capacity a bit, so the Analogue Monsters free series are available to everyone again. Site update 1.01: we can accept orders through PayPal! Today we added a new payment option, in addition to share-it you can purchase our products via Paypal as well. USER REVIEWS ARE ONLINE NOW! And... as you can see, the site has been refreshed a bit. It's still far from perfect, and I will try to do a little housekeeping exercise in the forthcoming weeks. We need to change many things , most of them won't be conspicuous... but necessary. One of them: from 1st October, the Analogue Monster free will be available for registered customers only. We're sorry about that, but only in the last one year more than 40.000 people downloaded this refill from our server, which means over 6 terabyte data! On the one hand we are very happy that our refills are so popular, but on the other hand our server simply can't manage the attack of takers in the long run. ANALOGUE MONSTERS Patchbank 2.1 is out! What's new? 64 brand new, complex and carefully designed NN-XT patches and some minor bugfixes. Another news: from now on VIROLOGY refill is available as downloadable product! This is the same as the original DVD version, but have reduced price (36 EUR instead of 45 EUR). Please note that you need a broadband connection to download VIROLOGY, it's more than 1.2 GB!